So, six months after we welcomed it onto the fleet, and with temperatures touching the same balmy highs as they did on that lovely August day, it's time to say goodbye to the Up GTI. During its time with us it's gone head-to-head with rivals both direct and less so, but never failed to emerge with its reputation intact. 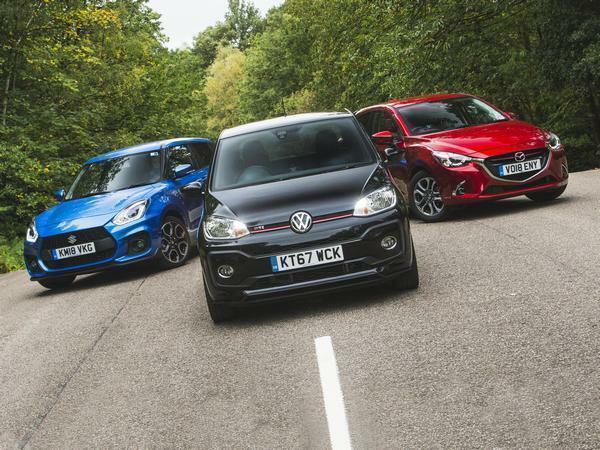 The Mini Cooper, Suzuki Swift Sport, Mazda 2 GT, Mk2 Seat Ibiza Cupra Sport GTI, and even the standard 90hp Up have all be put to the sword, collateral damage on the VW's crusade to win PH hearts and minds. On that front, however, its success hasn't been so unequivocal. Whilst many of us have been smitten by its puppy dog nature, others (Matt Bird) remain unconvinced. 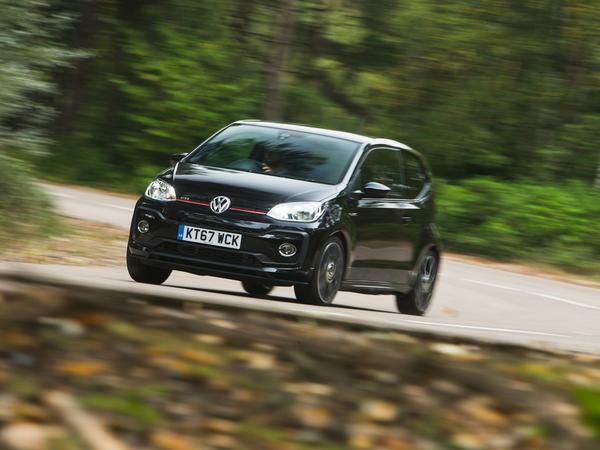 What we can all agree on is that the GTI is a very good Up; it fulfils its city car remit perfectly, while adding a touch of zip to proceedings, its sportier set-up bequeaths it with superb motorway composure and it certainly looks the part. 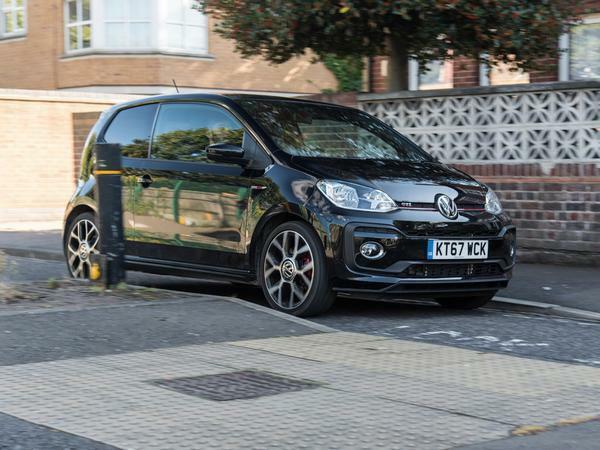 Whether it's worthy of a GTI badge, however - well that's a different story. It's stable at speed, for an Up. It's fun to drive, for an Up. It fits four passengers well, for an Up. 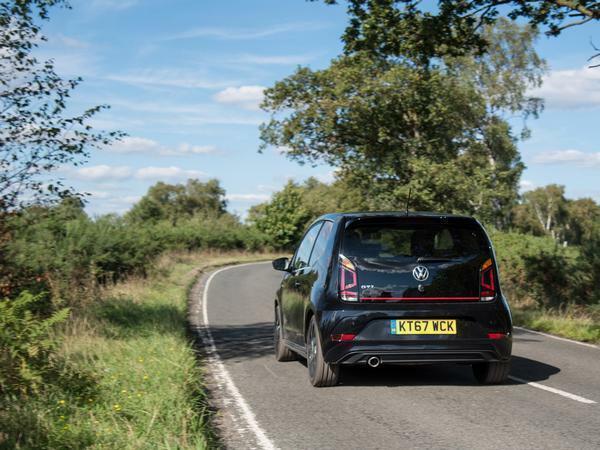 The caveat must be attached to nearly all of the car's most praiseworthy attributes, which shouldn't really be the case for a GTI, should it? A Golf GTI is a highly capable car, full stop. It's not just great for a Golf. Arguably the Up doesn't deliver the breadth or depth of ability that we've come to expect from a GTI-badged machine. At higher speeds its veneer of stability wears a little thin; it may be enjoyable to drive, but you're unlikely to find yourself rising early to take it for a spin; the steering is sharp but feedback is minimal, and the gear shift leaves a lot to be desired. As a fast Up, then - i.e. a top of the line city car - it excels. But the line between that and bonafide hot hatch are a little blurrier than we'd ideally like. Think of it like this: the standard Fiesta is an excellent supermini, yet when whenever anyone drove our long-termer ST, they came back raving about its exceptional handling character - not just that it was good when make or model or market segment were taken into account. Ultimately, that demerit is significant enough to separate it from the cream of the crop. But it doesn't make it any less worthy of consideration if you're just looking for a small, brisk, well-made and relatively affordable way of getting from A to B. We also found VW's customer service to be exceptional when the time came for a check up. 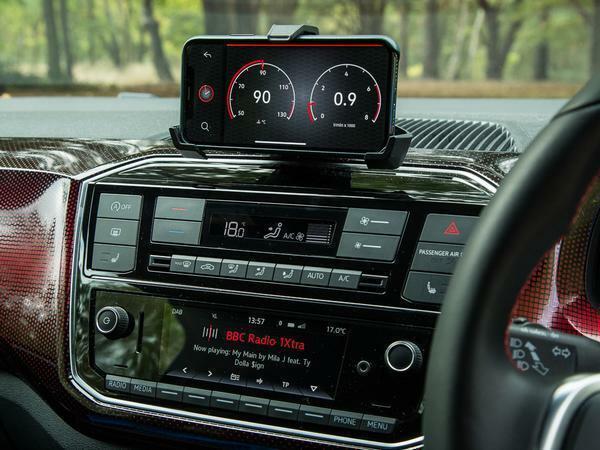 And after several thousand miles behind the wheel, the Up's dash-mounted phone holder is without doubt the best infotainment solution we've seen in a car of this class. Little things - but they all add up. Factor in the reality that no-one ever thought to moan about the prospect of taking the Up for a week night or a weekend (in an office where there are often objectively more exciting options on offer) and you're reminded just how acutely well Volkswagen has found that sweet spot where convenience, comfort, economy and just enough capability meet up. So there you have it, six months with the Up GTI. Give it another six months of PH being located in central London - with all its myriad inconveniences as far as driving and parking is concerned - and we'll probably be missing it like crazy. Last month at a glance: The Up defied its compact size with a big character that will be sorely missed. When is a GTI not a GTI? When it's an Up! Finally, someone speaks sense after all the hyperbole. Yes. Surprise, surprise all the "it's the spiritual successor to the Mk1 Golf GTI" stuff has died down now. Seems everyone's so bored of the Up GTI, they can't even be bothered to comment anymore. Yes its all rather ironic really. We get numerous threads where people bemoan modern performance cars that are too fast, too grippy, too remote, yet an article about a little VW that offers accessible performance, lower limits and a sense of fun gets almost no interest! Compare it to any article about the latest BMW 3 Series or the new Ferrari. 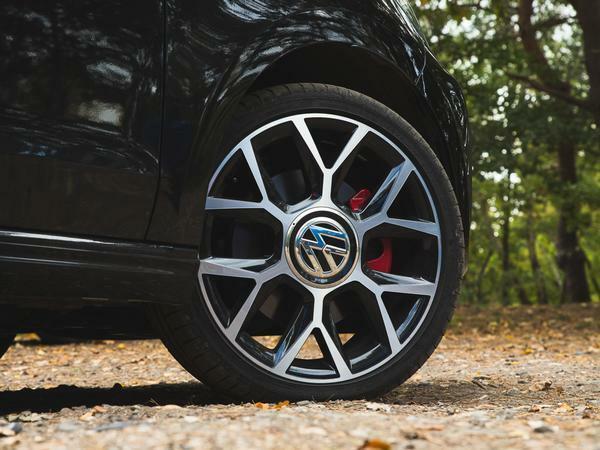 I think like the Lupo GTI, which also had mixed reviews when new, but is still worth decent money now, the Up will be a shrewd purchase in years to come with decent residuals.